You must be aware of harmful side effects of rats. Rats are the pests which breed in people’s homes. Several complications arise due to the invasion of rats. The bites and scratch marks of rats can result in several dreadful diseases. Not only the rat-borne diseases are baleful for the health of people, but also the infestation of rats at home and business location can turn out to be destructive. Do you observe any grease marks or dirt in your home? If yes, then you should be cautious against this signs and should seek immediate actions to protect your belongings and health of yours and others from dangerous signs marked by pesky rats. The notorious creatures have the habit of gnawing on wood-based products, wires and plastic items. 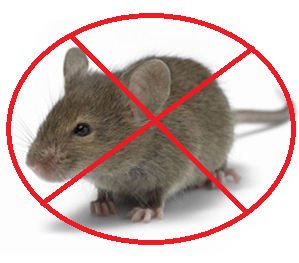 Consult trained professionals of a pest control company to provide you instant relief from the attacks of rats. Get the expert help of skilled technicians of the esteemed pest agency to eliminate the toxic pests from your nearby zones. The effective rats control services in WA will keep the nocturnal pests away from your household objects. The use of effective rat baits and technologies applied by the reputed pest agency will prevent you from structural damages. The pro team of the pest company will close the entry locations in your surrounding areas to give you a piece of mind from poisonous rats. Avail the significant benefits given by the acclaimed pest agency to shield your living space from toxic insects. The highly trained exterminator of the pest agency is there to provide its clients reliable pest control services. The supreme pest treatments and solutions will sure to rid you from nasty pests on a long-term basis. Minimize the pest invasion effectively by hiring the pest company at a budget-friendly price.